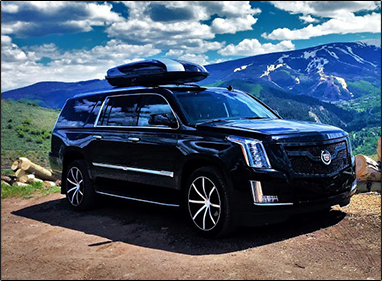 Black Diamond provides luxury private transportation from Eagle-Vail Airport EGE to World's Best Colorado Ski Resorts: Vail, Beaver Creek, Aspen, Snowmass, Bachelor Gulch, Arrowhead, Avon, Breckenridge, Keystone, Copper Mountain and more.. (EGE) Eagle Airport Limo Services: Eagle-Vail Airport (EGE) Transportation, Eagle-Vail Airport (EGE) SUV Limo Service, Eagle-Vail Airport (EGE) Private Limo Van Service, Eagle-Vail Airport (EGE) Limousine Service, Eagle-Vail Airport (EGE) Car Service. Meet & Greet Procedure: After you will pick up the luggage, please call Customer Service +1 (970) 261-6509 to let us know, that you are ready to be picked up. Your Driver will pick you up within 5 minutes after your call.